It feels like it has been forever since my previous post. My apologies for that, but I am really a bit busy at this stage and for the foreseeable future. I have however started working on my projects again although it is going extremely slowly. 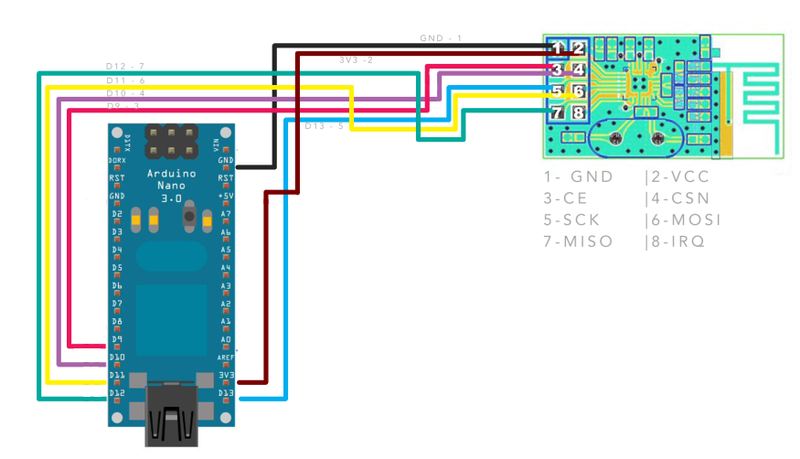 As listed previously, I want to develop an NRF24L01 network based on the RF24 library from Maniacbug. The problem for me was that I simply weren’t getting any communication between the modules. I’ve read up on multiple websites to try and resolve this problem. This is the reason why I’ve built my own custom boards with a separate power supply on it. This also weren’t working and I just couldn’t get the units to communicate. I then decided that I will order some adapter boards from eBay for the NRF24L01 modules to eliminate the power concern once and for all. When I received the adapter boards I’ve connected everything up and still I didn’t get communication. I kept getting a message on the serial monitor stating that my transmission had failed. What I did different then is that I’ve opened an additional Adruino IDE with the same code on it. 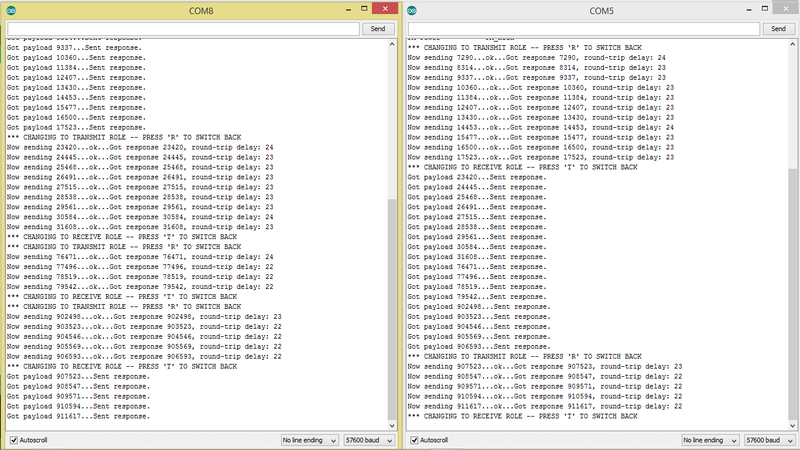 I then opened the two serial monitors side by side and started transmitting from the one module. The result was the same, however when I started transmitting from the other module the radios started communicating correctly yeah. I hope that this helps some other people resolve their problems with the getting started examples from Maniacbug. I will start working on my own custom code now that I have my “getting started” examples working. I hope that my posts will follow a bit sooner from here. ‹ Crowd funding campaign is over, time to move on to the next project.